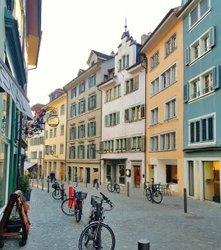 An urban oasis in the heart of Zurich’s Binz quarter, which is constantly changing. “The Binz”, as the locals call it, was once a clay pit with various industrial buildings. 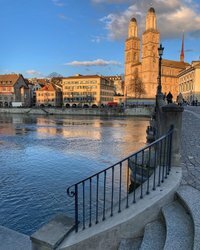 However, in recent years, the quarter – which belongs to the Wiedikon district of Zurich – has steadily evolved. 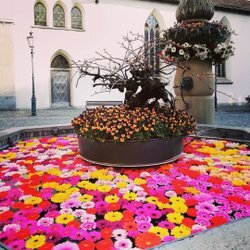 This is not least thanks to creative gastronomic concepts such as that of Binz und Kunz: in this urban oasis, friends, families, tourists and business people alike meet for a drink or a delicious BBQ meal in a colorful garden. An outdoor bar serves cool beverages, pasta dishes and plates of mezze to people wishing to relax after a hard day’s work. On a gravel area, guests can tuck into their Asian dishes and barbecue specialties at small tables placed between containers and components of an urban garden or at long communal tables under a marquee awning.